My Review: When Trey's past collides with the present, his life changes forever. Jesse is a fellow pilot and the woman he once thought he would marry. Suddenly, life becomes more complicated than they could have ever imagined. Every relationship is eventually tested, and it looks like their relationship has failed the test. Will Trey and Jesse be able to face the unknown together, or is it time to call it quits? I've read every book Shirleen Davies has written and this one might be my favorite. This story touched my heart in a way that brought tears to my eyes. Trey and Jesse face one of the most difficult challenges a couple could face, and while Trey steps up to face his new responsibilities with courage and maturity, Jesse crumbles under the pressure. Miscommunication and hurt combine to push the couple even further apart. 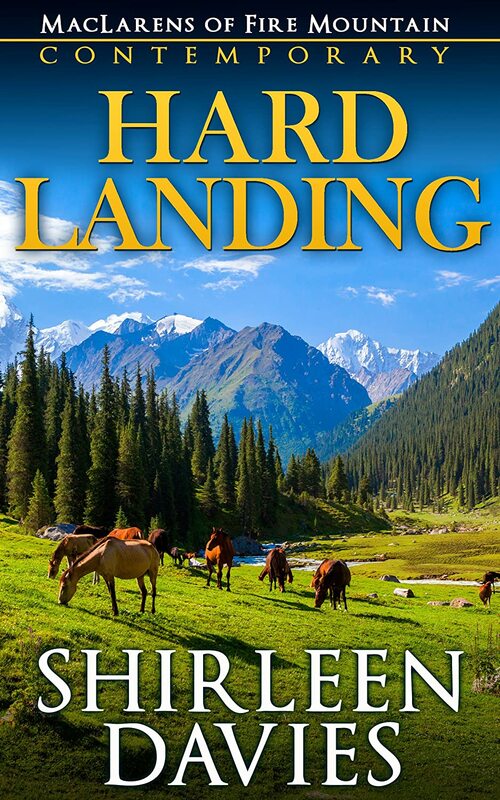 This book is filled with realistic, likable supporting characters and also revisits some favorites from Hard Landing. The way the MacLaren family gathers to support Trey reminds me why I like these books so very much. The author really gets into the hearts and souls of her characters in this book, which is probably why I fell in love with the story the way I did. Wonderful, wonderful story.